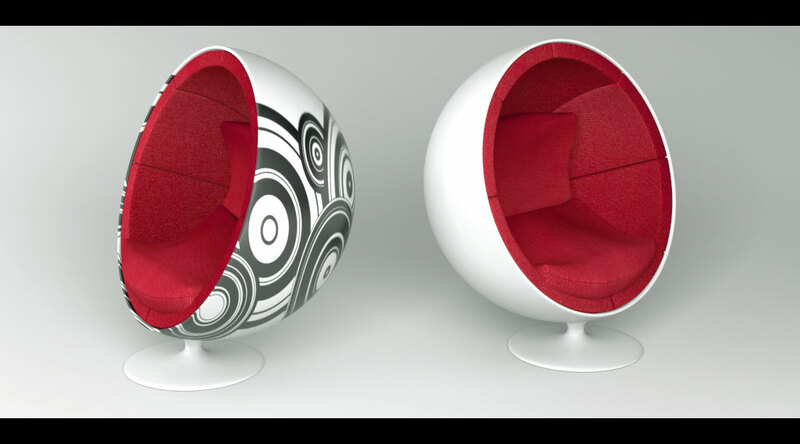 Browsing the net I found out that many users are interested in modelling so called egg chairs which are representing the modern art and are a nice piece of furniture. Because we need quite a lot of materials and models inside our interior which will be the output of our interior section I decided to model this kind of item. 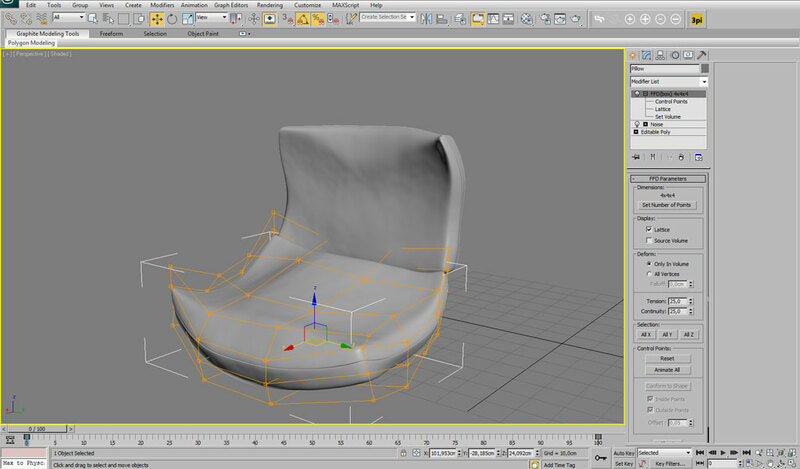 Looking on other similar tutorials about this chair I decided to choose another approach and model the chair as “right” as possible. 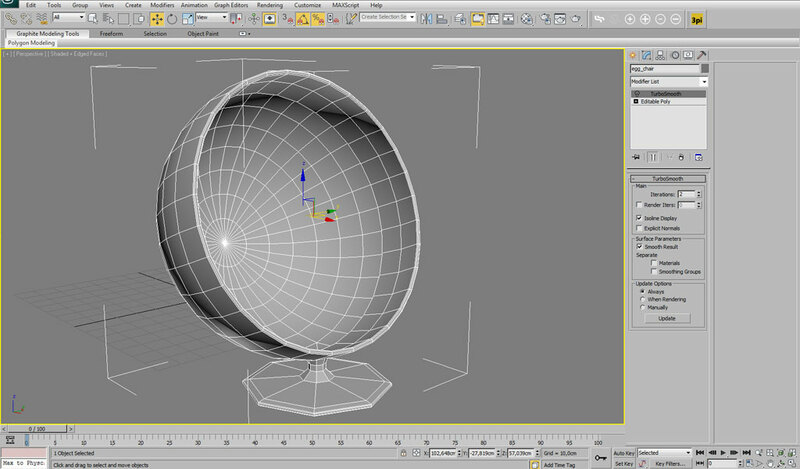 We will start with setting-up our scene and creating our starting primitive. 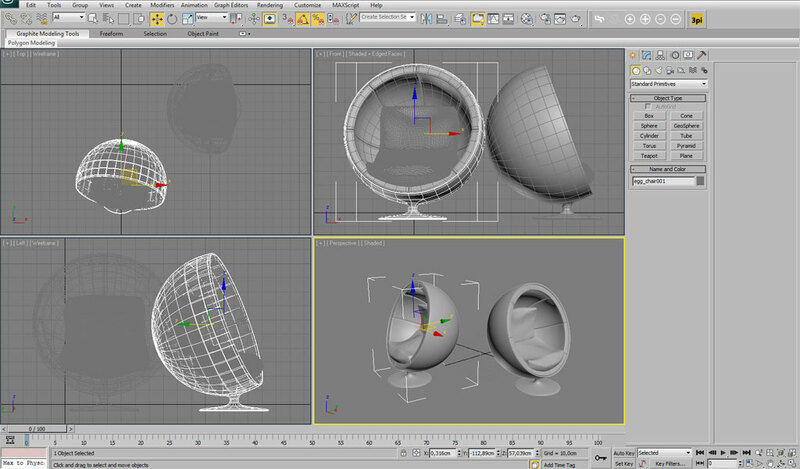 Because the chair has a spherical shape we will start with creating a simple sphere which we will use as our starting object. The right primitive will be in our case an advantage in two steps. At first, the shape is already something which we would like to have and for second, we can use the outline edges of the sphere for creating the opening inside our chair. In our case the starting element will be a sphere and the modelling technique, poly-modelling technique. 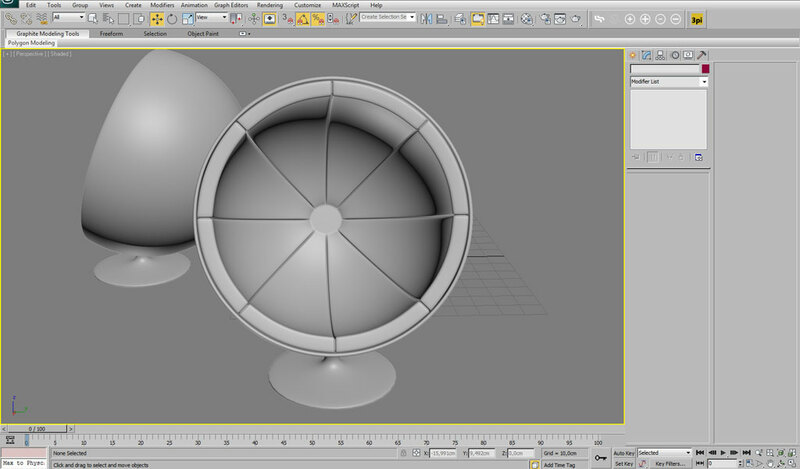 We will use the sphere and the modelling technique for creating both the stand for the chair which would be going directly from the sphere and also the opening in which we would create a soft pattern on the background. To fill in the free space which we created by creating the opening in the sphere we will create pillows. By this step we will try to create pillows as best as we can and for this we will use a reference picture which will guide us through the process. Next, we will use the 3D-Sphere material library which you can download from the menu on the left side of 3D-Sphere and apply materials to our model. For rendering we will use Photometric Lights and MentalRay for realistic looking result. At the end together with the final render we will render also an Ambient & Occlusion map and do some postproduction in Photoshop. You can watch the tutorial below and if you have any questions, just write us.